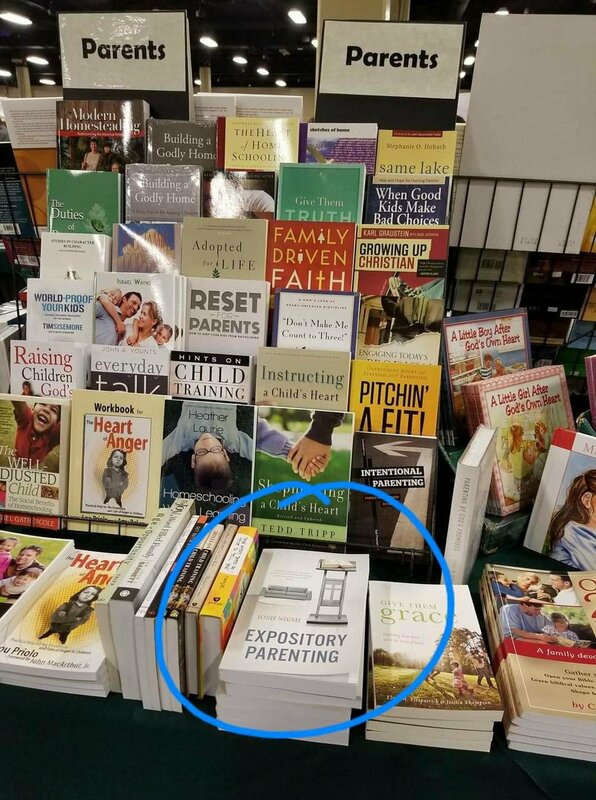 For those looking for an additional way to get a copy of Expository Parenting, it is now available through the Christian book distributor and publisher Grace & Truth Books, here: https://graceandtruthbooks.com/product/expository-parenting. The book can also be purchased at the Grace & Truth booth at numerous national conventions, such as Teach Them Diligently. Who are Grace & Truth Books? We are the family business of Dennis & Naomi Gundersen, a venture that began in 1993, with our four sons then at home (now all grown adults). Our sons have all had a role in the company: Ben designed book covers; David worked in shipping and receiving; Mike designed our first website and traveled to numerous homeschool conventions with us; and Greg’s artistic design talents were employed for interior artwork in our books. In our 24 years of business we’ve had the joy of ministering at over 300 homeschool events and nearly 100 Bible conferences, impacting hundreds of thousands of households. Many of the 100+ books we publish are rare collections from the 1800s of stories for children, with strong character-building themes. Others are by living authors committed to the same God-glorifying focus of strengthening a reader’s walk with God. Many of these treasures have been out of print for decades, and our readers in both the United States and 30 other nations have been delighted to enjoy them with their families. Our company name comes directly from a phrase in The Gospel of John, chapter 1, verse 17: “grace and truth were realized through Jesus Christ.” To my wife Naomi and I, it seemed “Grace & Truth” would be a marvelous name for our ministry! Unlike many distributors, Grace & Truth Books is committed to providing high-quality, theologically sound titles. In a previous article, I pointed out three key resources for helping parents teach the Bible to their children. Some of those recommended titles, such as The Message of the New Testament by Mark Dever and Family Worship Bible Guide by Joel Beeke, can also be purchased at Grace & Truth Books. Other books that I've found to be beneficial include the Little Lights series and The Ology: Ancient Truths Ever New. As you lead your children through the full counsel of God, Grace & Truth Books is a trustworthy place to find resources to help. May God bless you in your efforts.